The 2017 Volkswagen Tiguan Limited is a compact SUV that packs in value from the front to the back. A standard turbocharged engine brings 200 horsepower for quick acceleration and moderate fuel economy. Inside, you’ll enjoy available smartphone integration and functional cargo space with 40/20/40 split-folding rear seats. 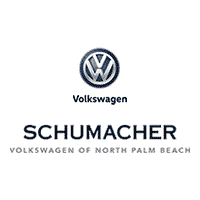 See what else you can get in the VW Tiguan Limited when you test drive one in North Palm Beach, Florida. Why the 2017 Tiguan Limited?